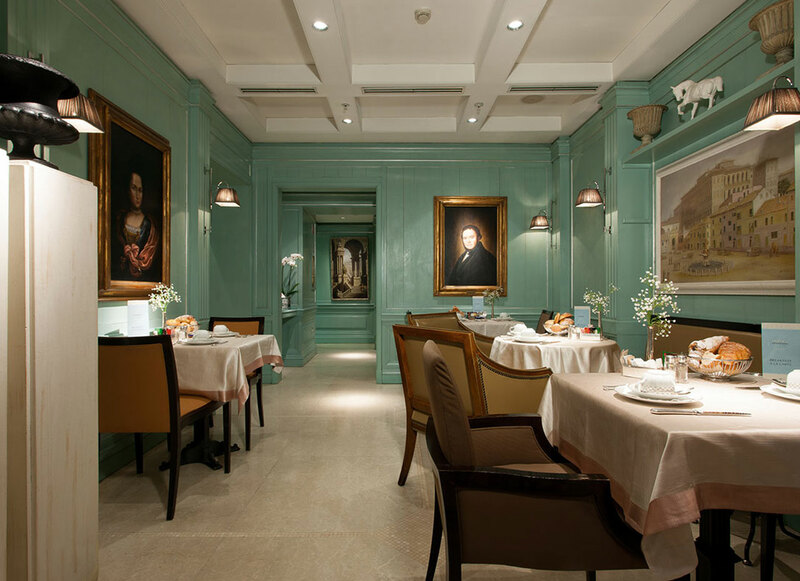 The Hotel Stendhal in Rome offers unique quality 4 star accommodation. 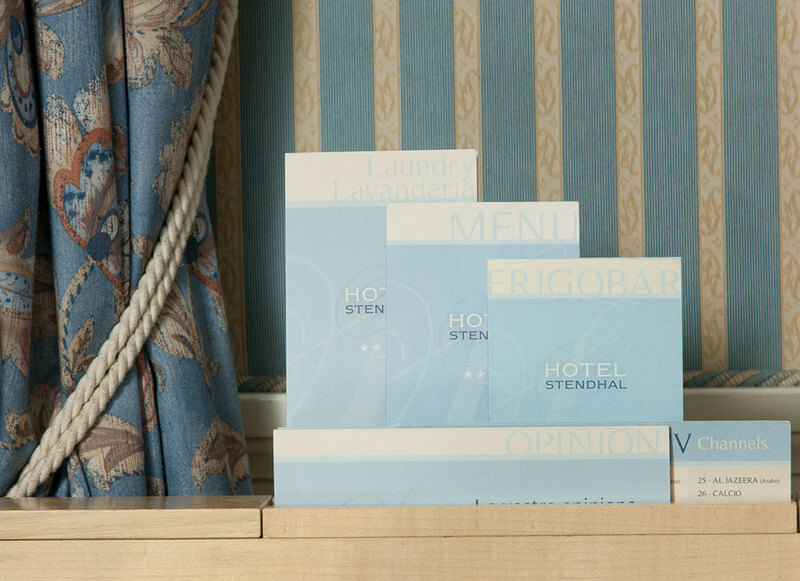 For guests of the Hotel Stendhal and Luxury Suites the proprietors promise an "overnight sensation". 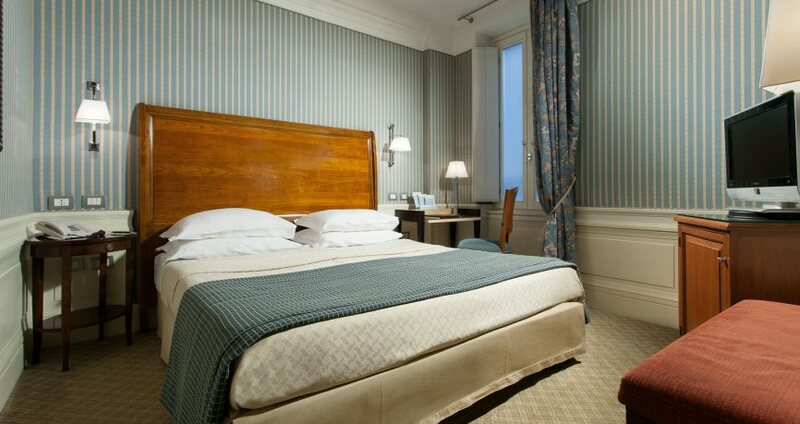 click here to see photos and room information. 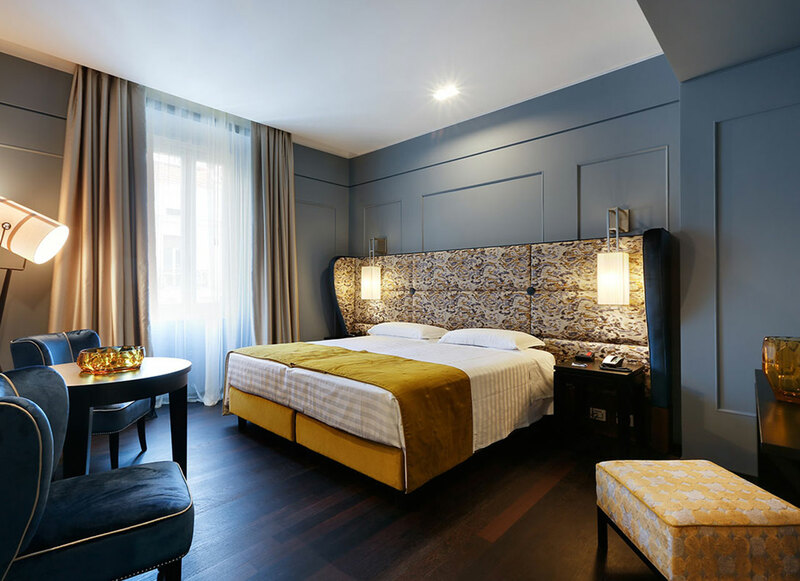 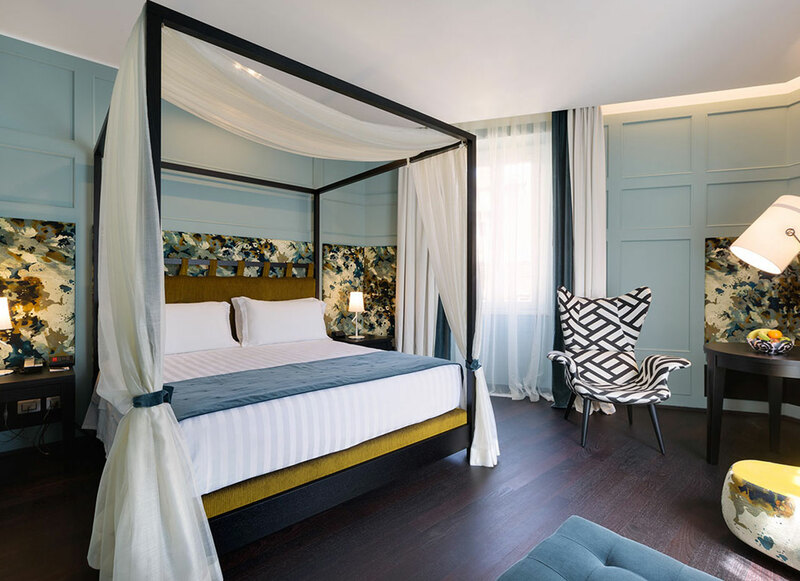 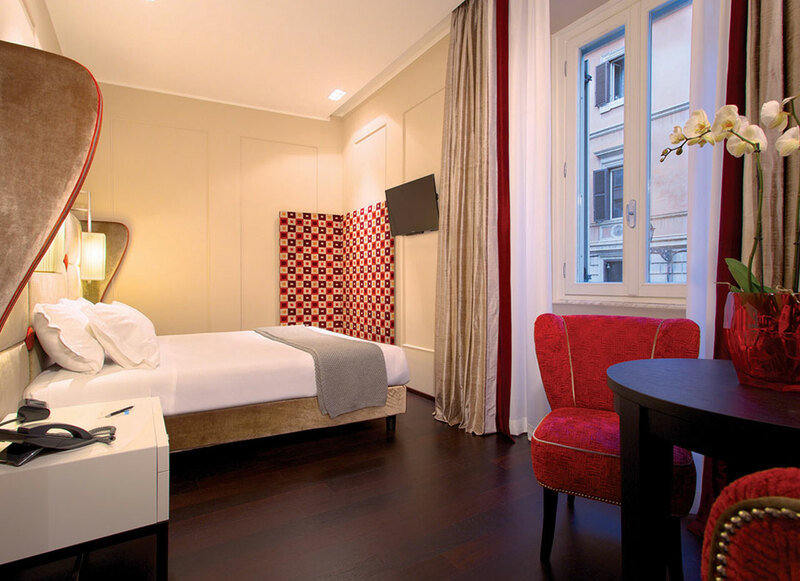 View the enlargeable photographs of the 4 star accommodation on offer at the Hotel Stendhal & Luxury Suites in Rome: Rooms, Restaurant, Meeting Room plus much more. 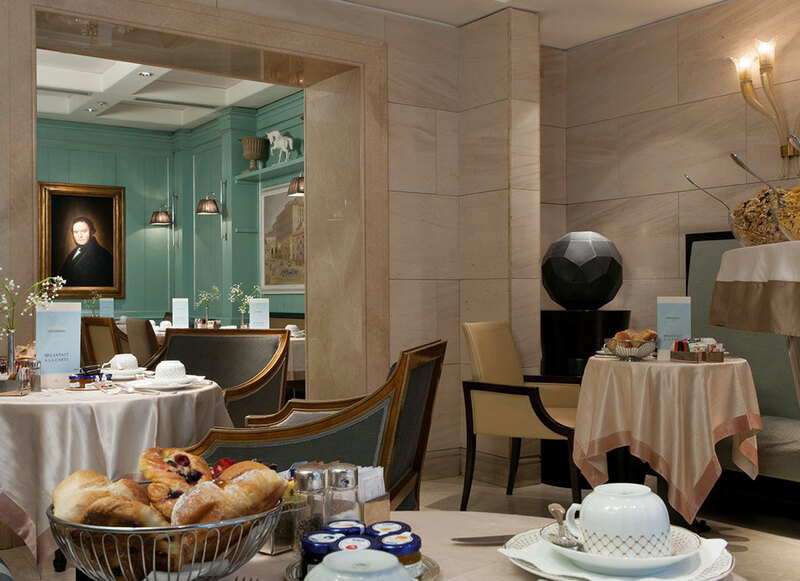 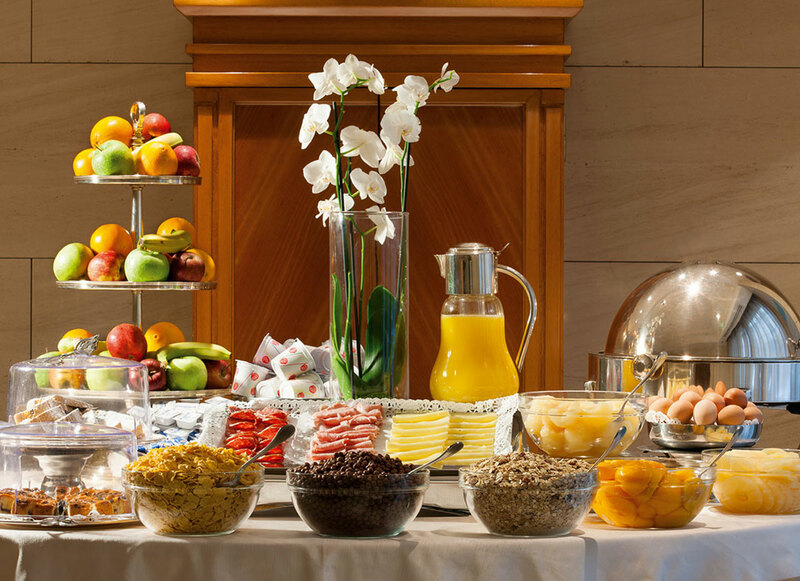 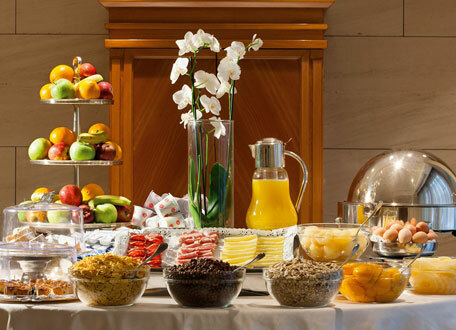 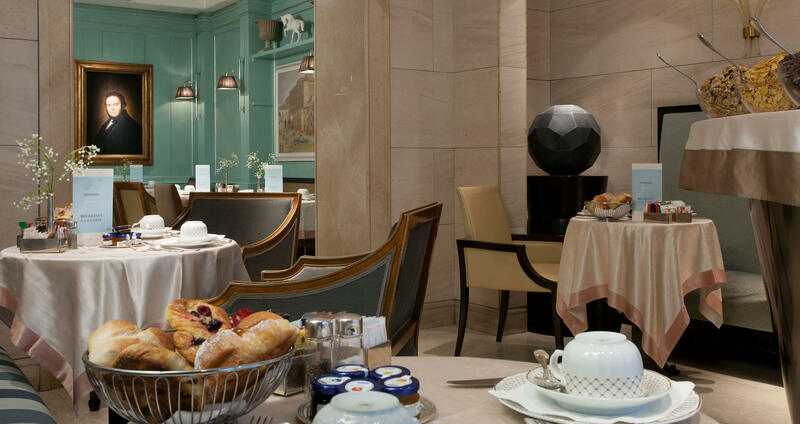 The Hotel Stendhal offers all guests a complimentary buffet breakfast included in the room rate. 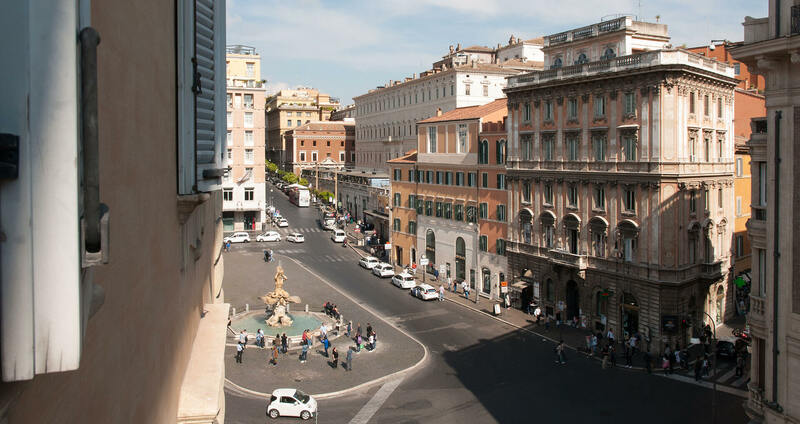 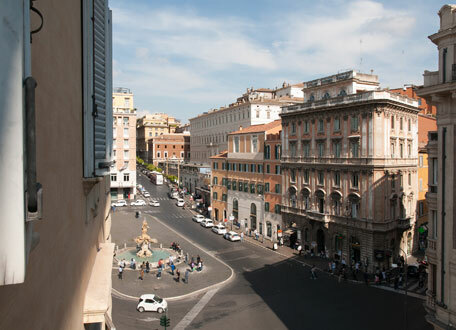 Situated right next to Piazza Barberini, the Metro Stop "Barberini" and only a few minutes' walk from the Spanish Steps, Trevi Fountain and Pantheon. 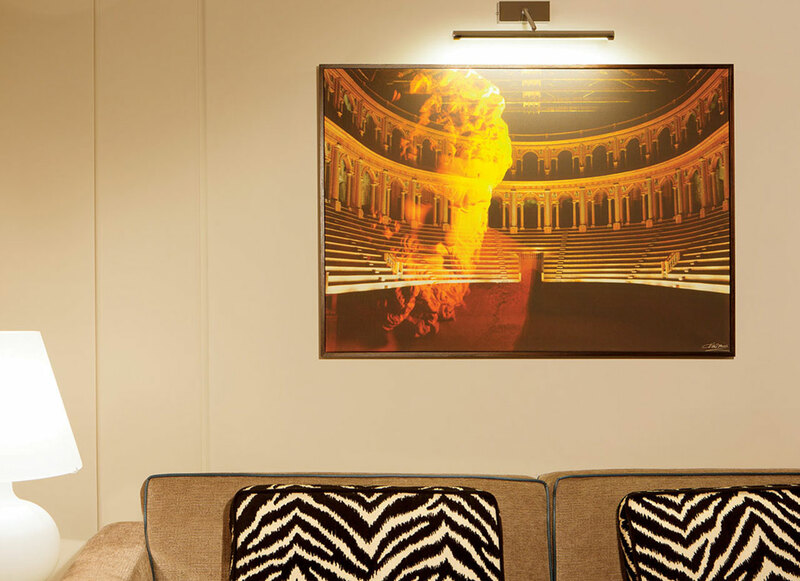 Luxury Suites Video Tourclick here to view the Luxury Suites video tour. 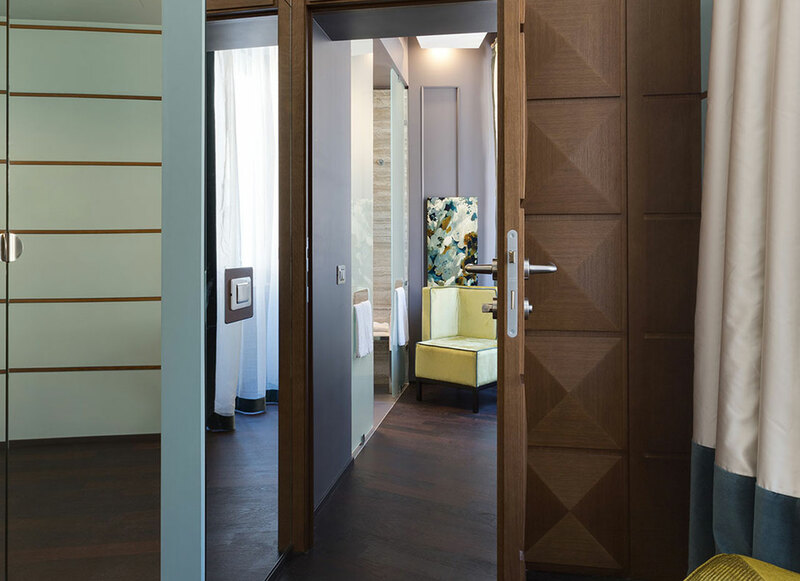 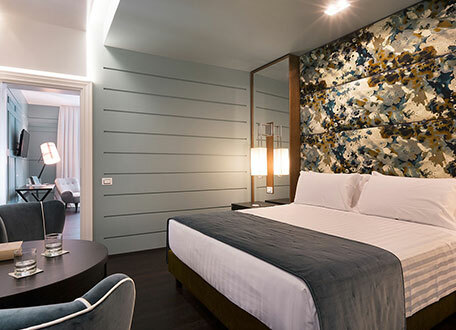 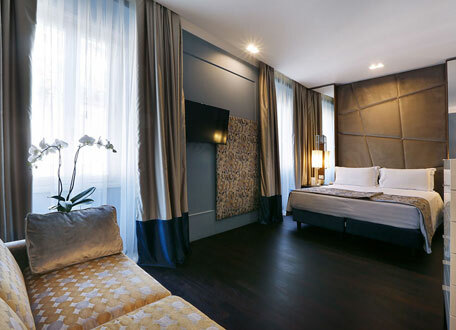 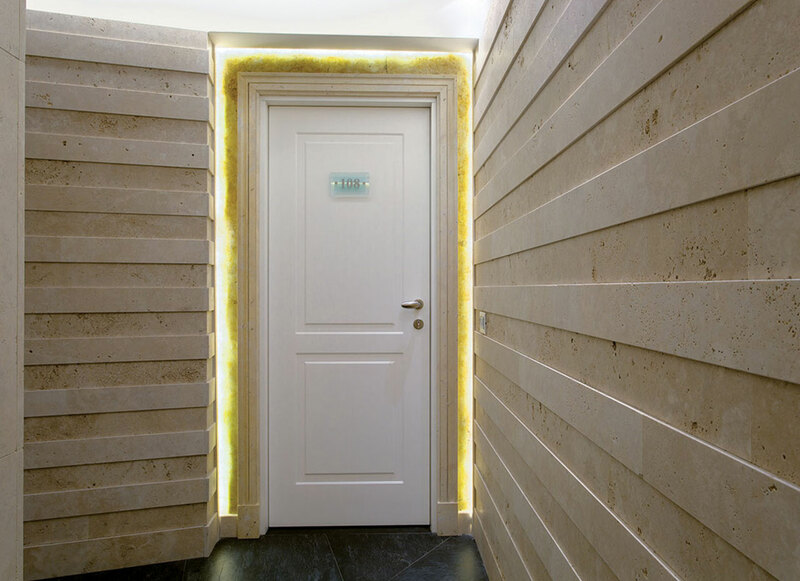 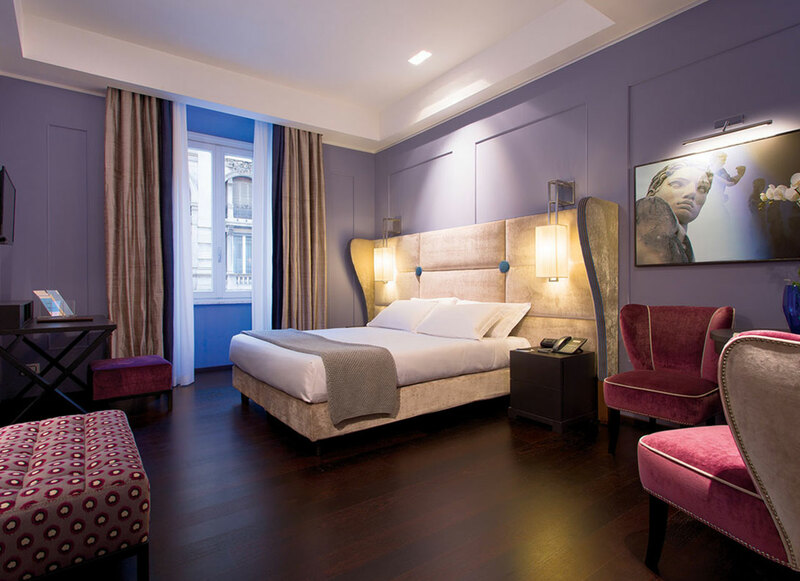 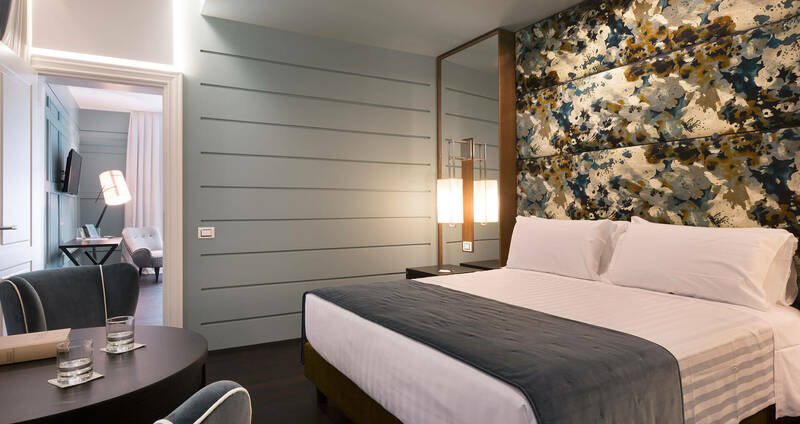 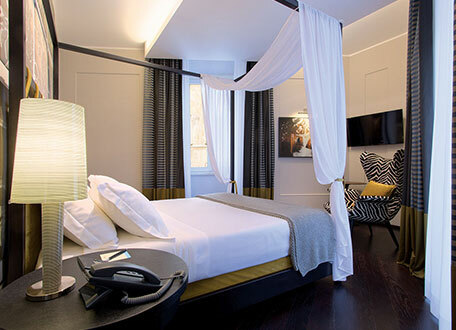 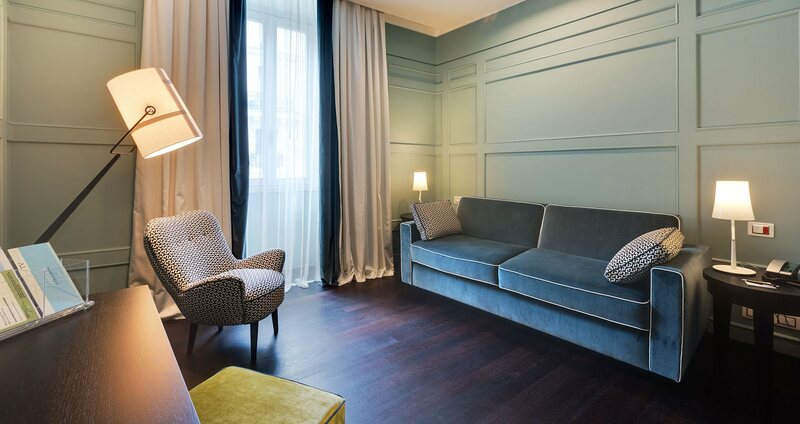 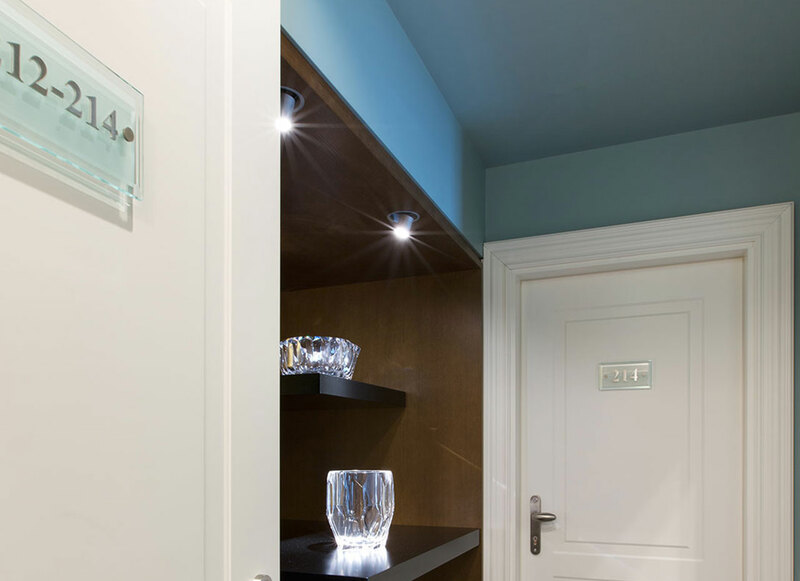 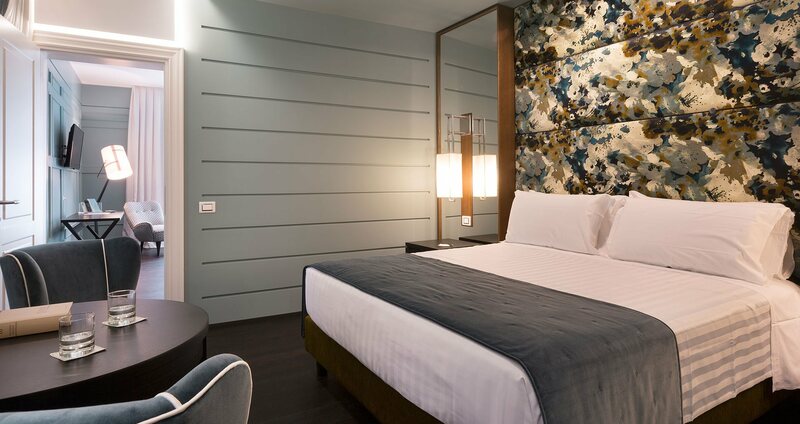 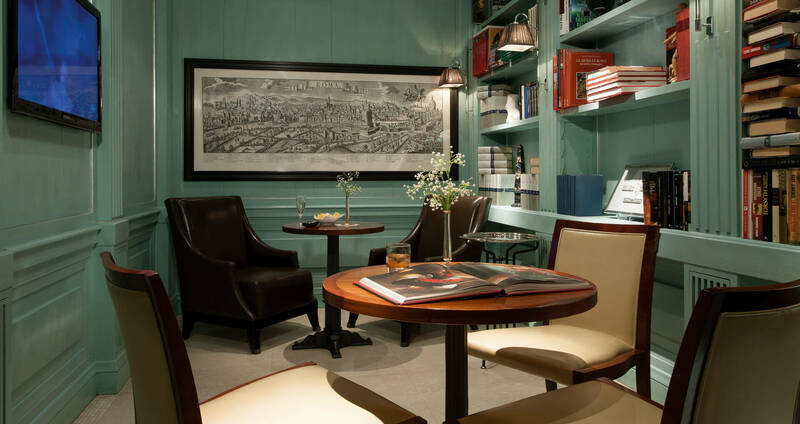 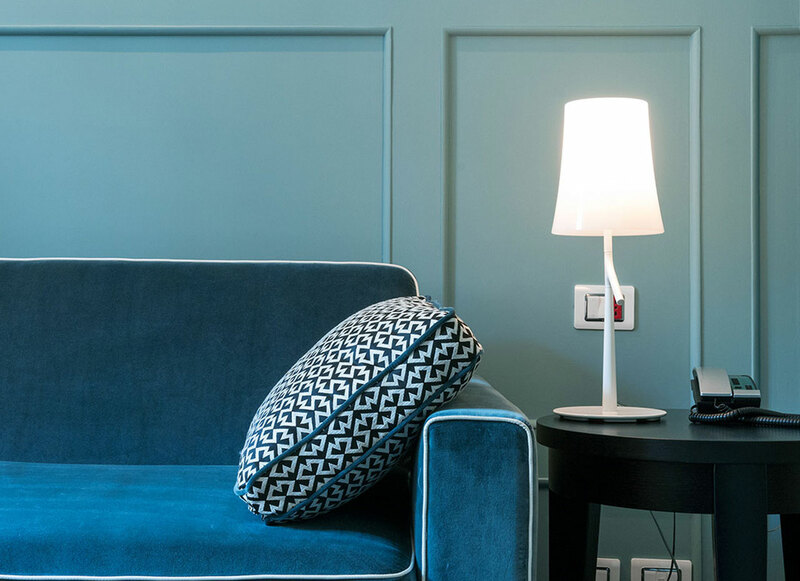 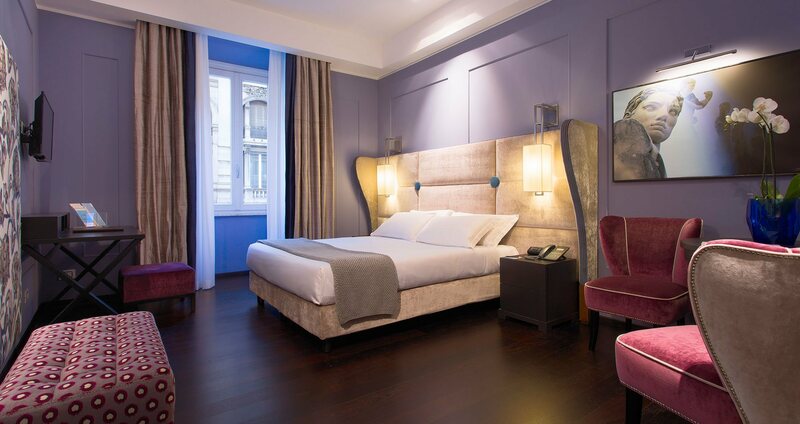 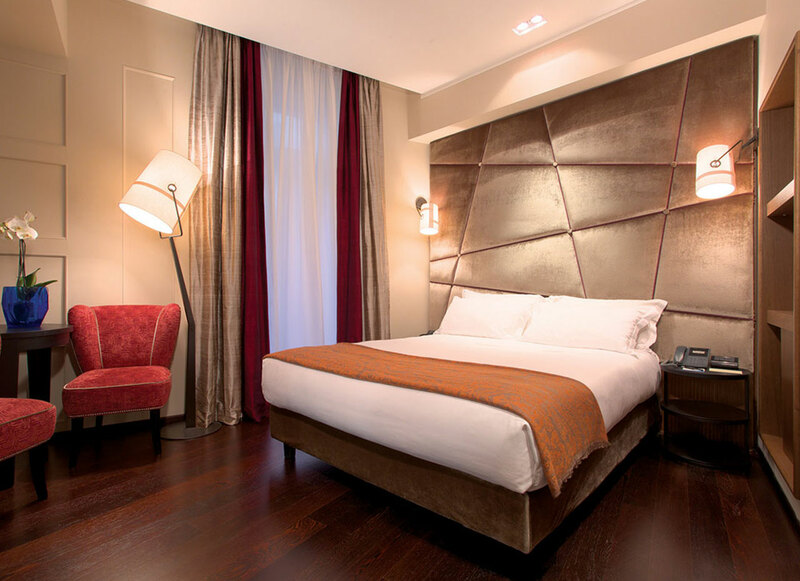 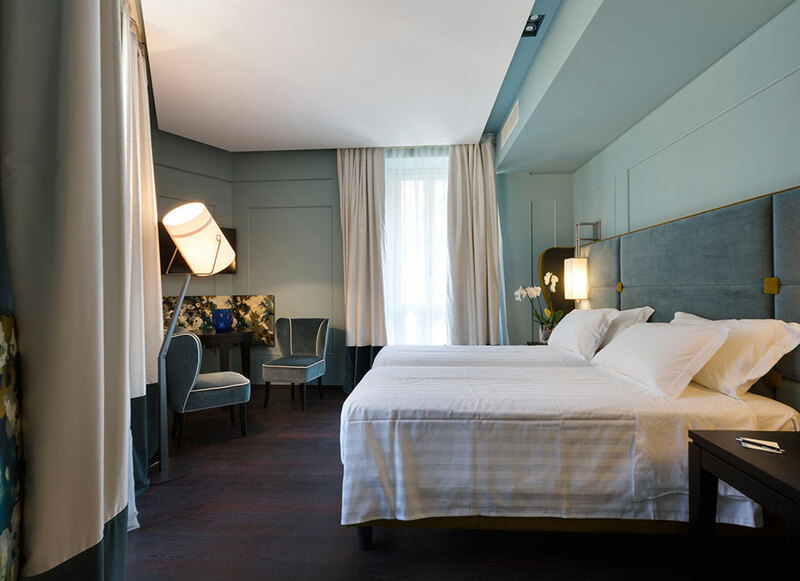 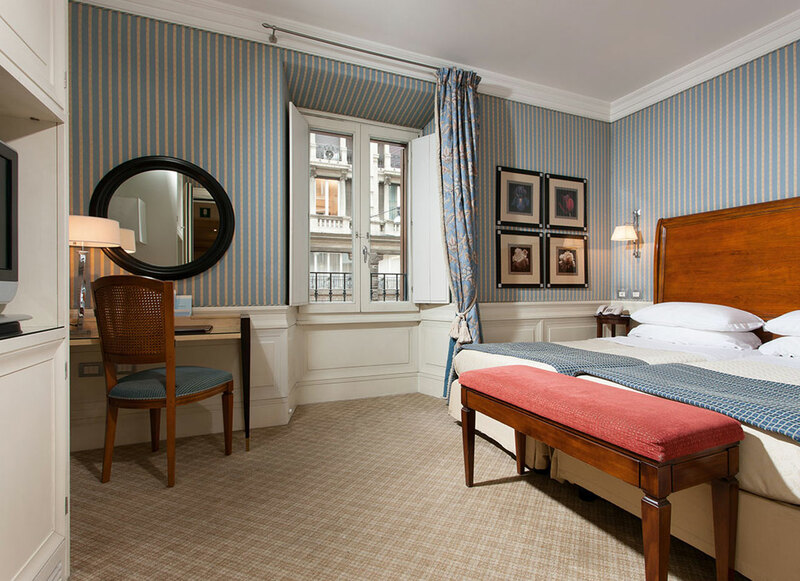 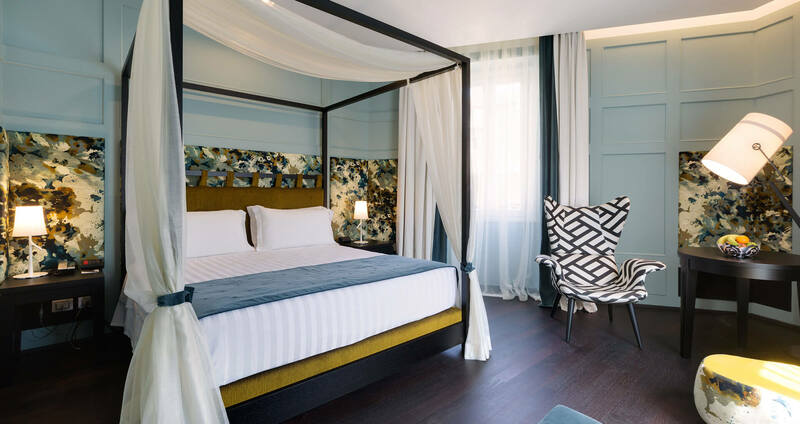 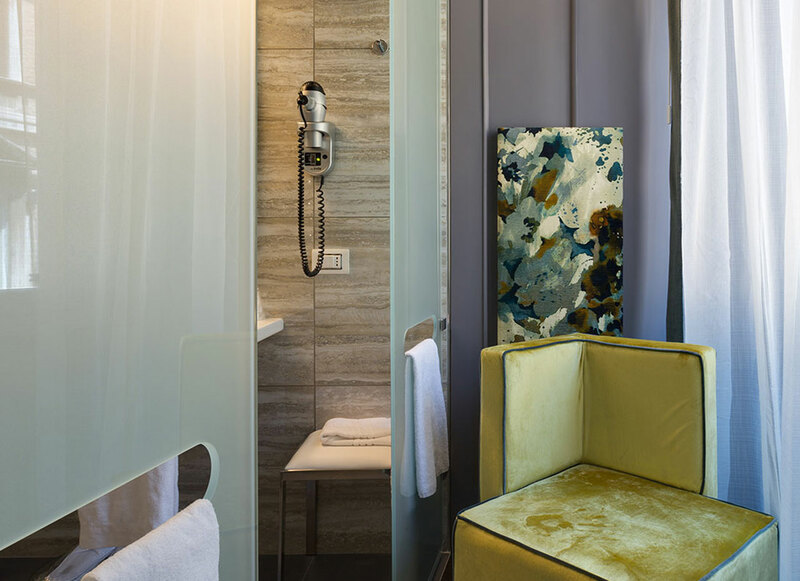 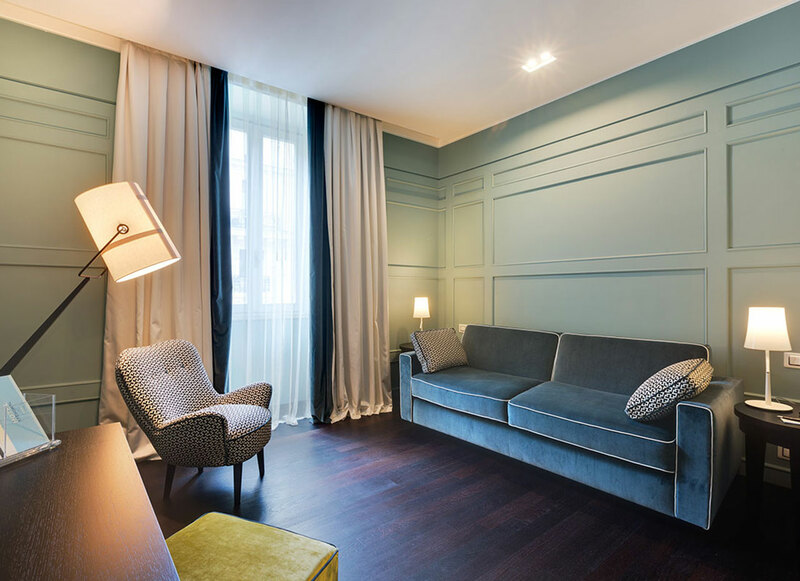 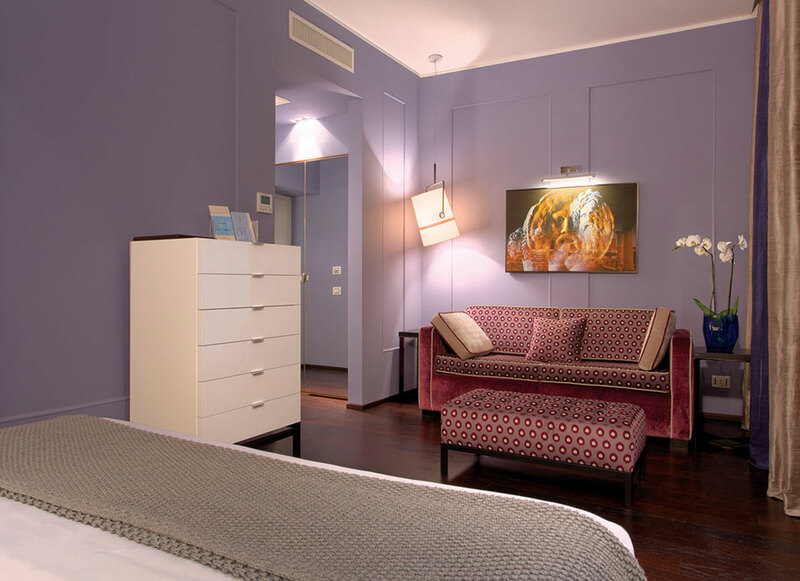 The new "LUXURY SUITES" are part of the annexe of Hotel Stendhal and are located in the adjacent building - entrance is found on the prestigious street of Via Sistina just around the corner. 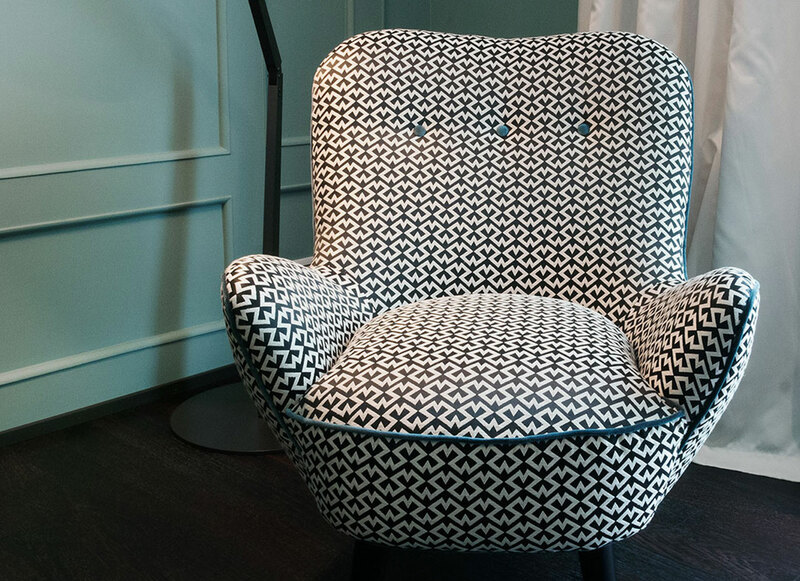 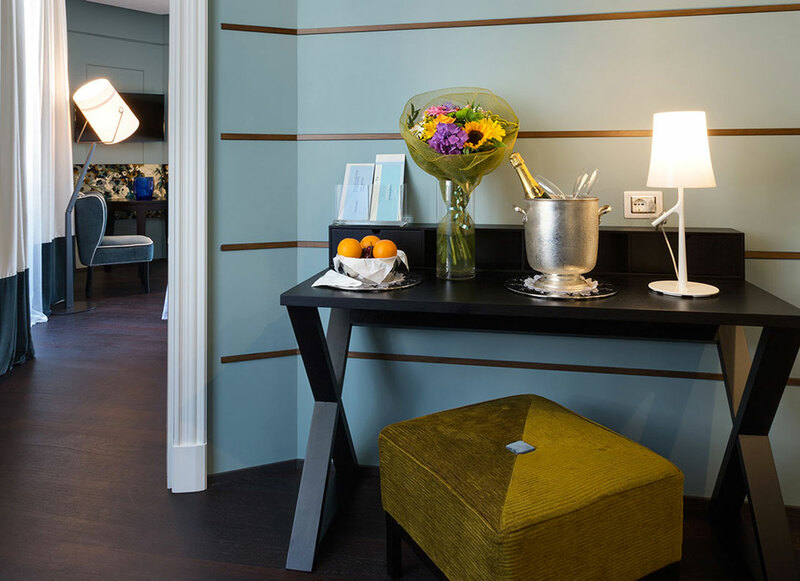 NB Check-In should still be made at the Hotel Stendhal from where you will be accompanied to the Luxury Suites. 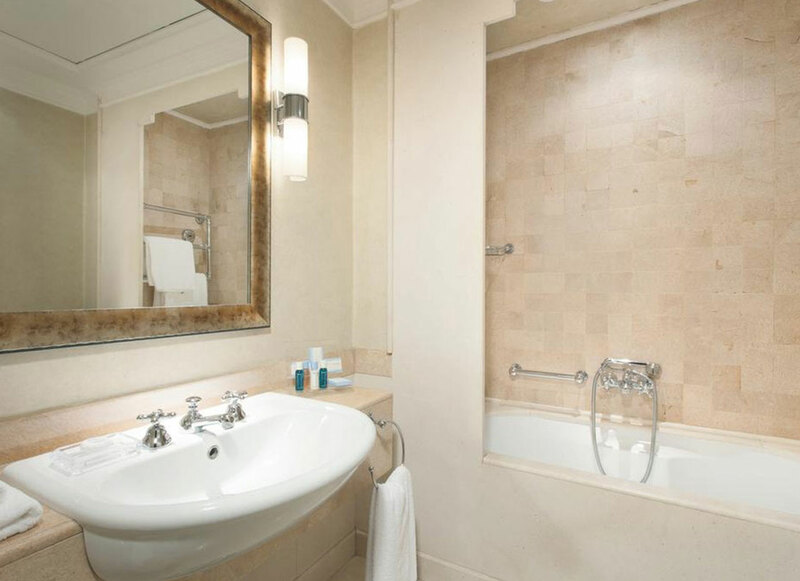 click here to see photos and suite information. 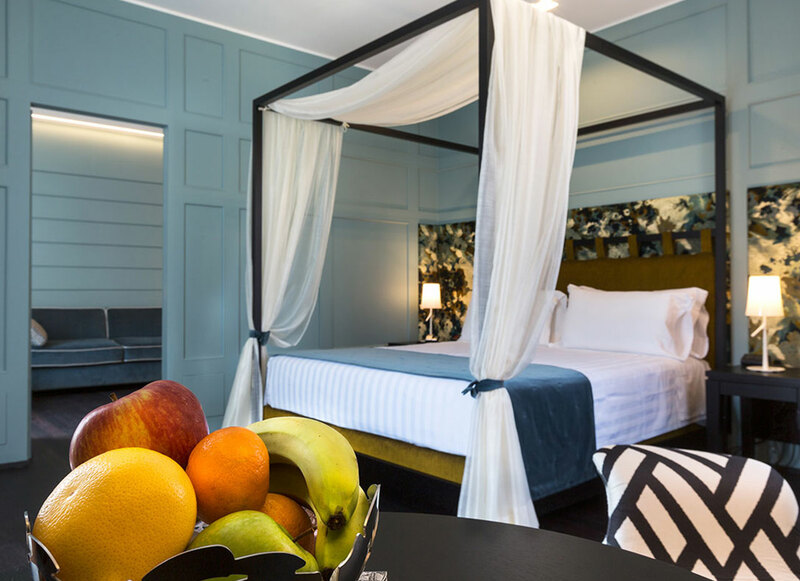 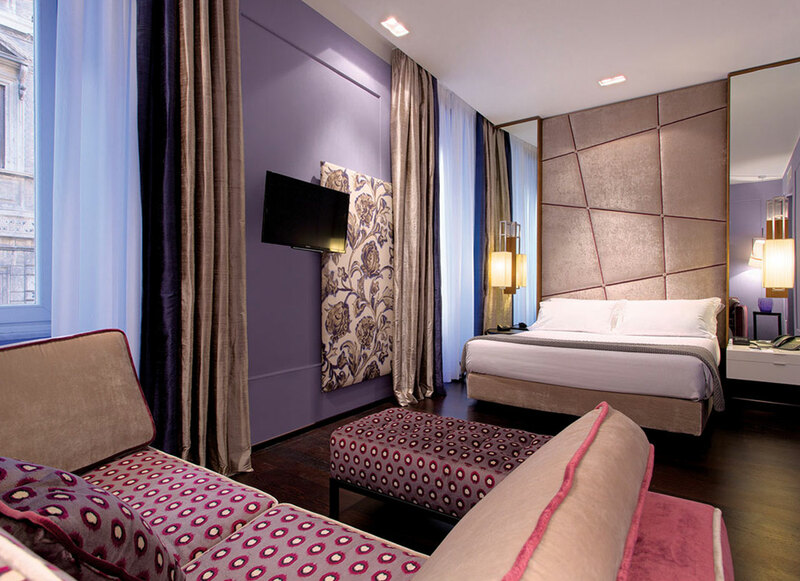 The Royal Suites contain a bedroom and separate seating area with pull out Sofa Bed. 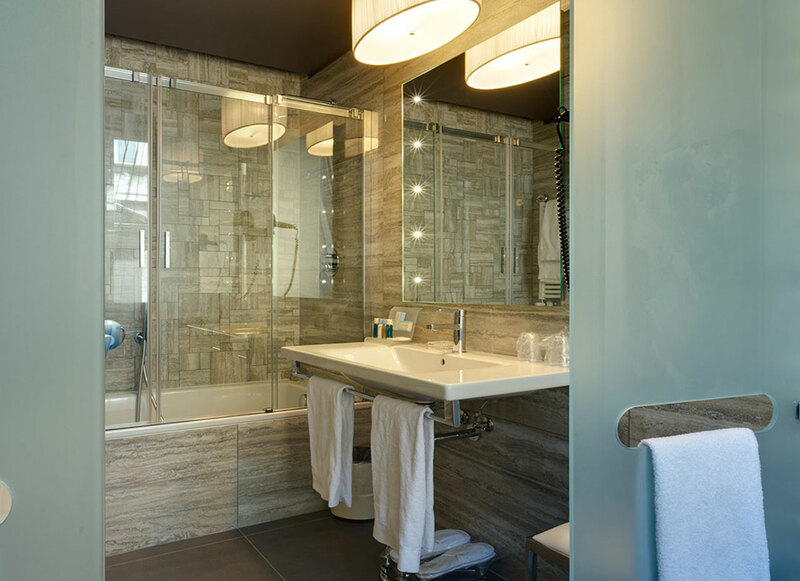 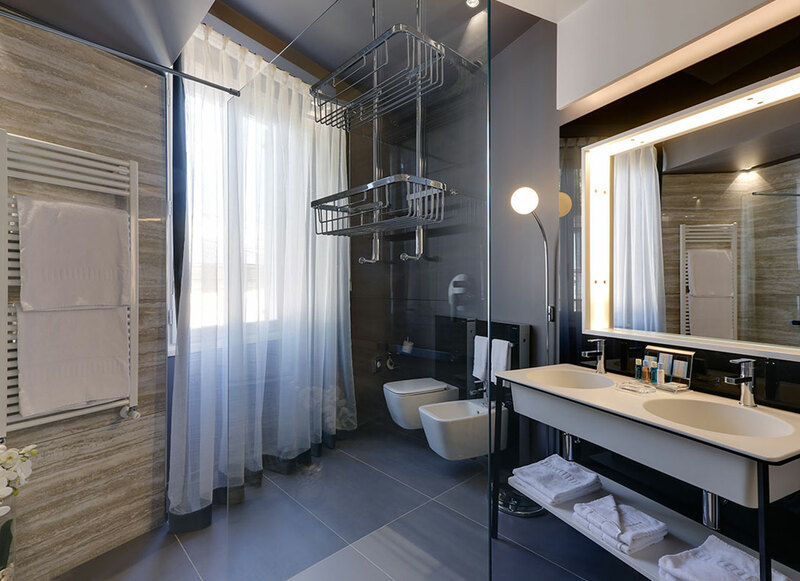 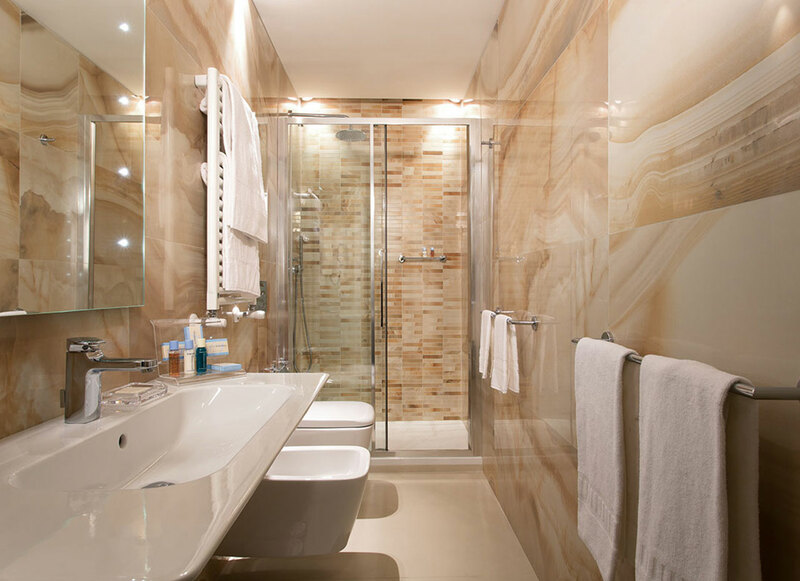 A large bathroom with walk-in shower. 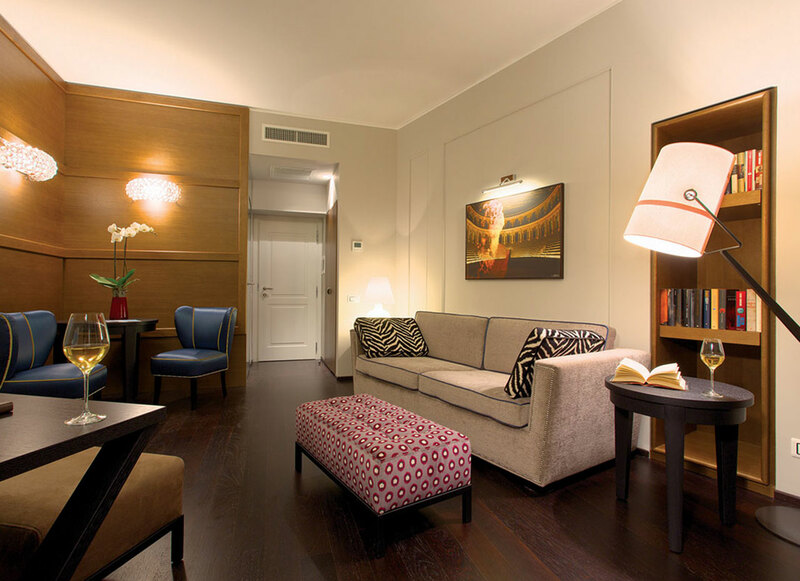 Free fast Wi-Fi , mini-bar as well as a Nespresso Coffee Making machine. 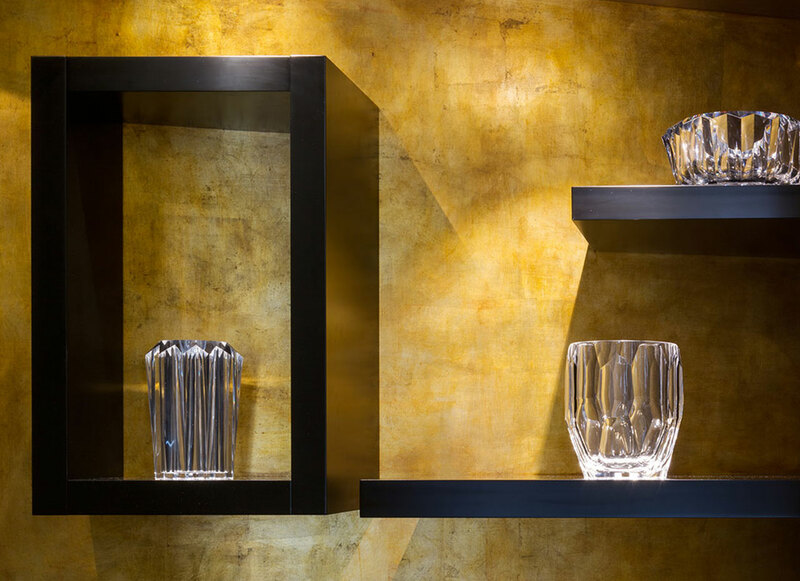 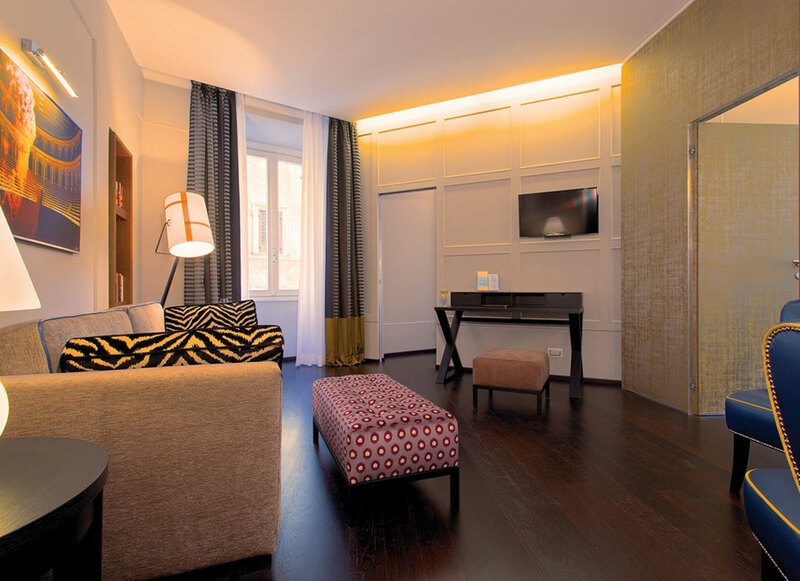 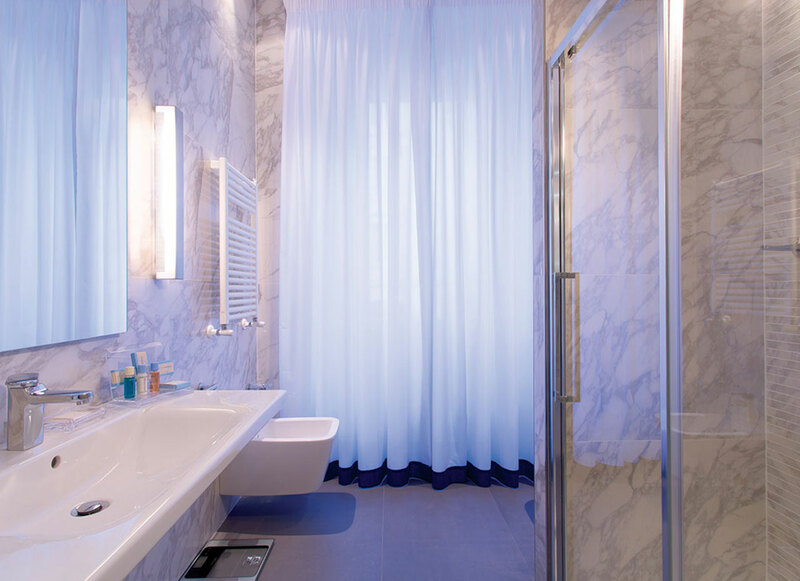 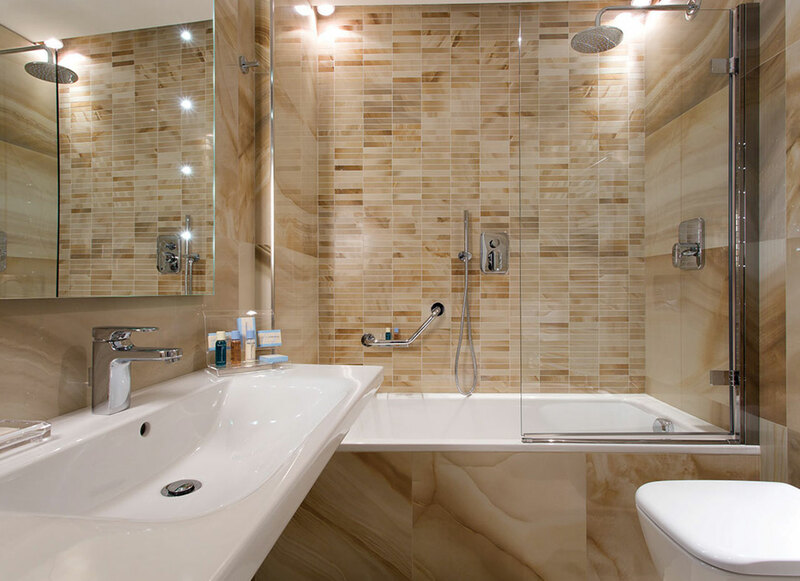 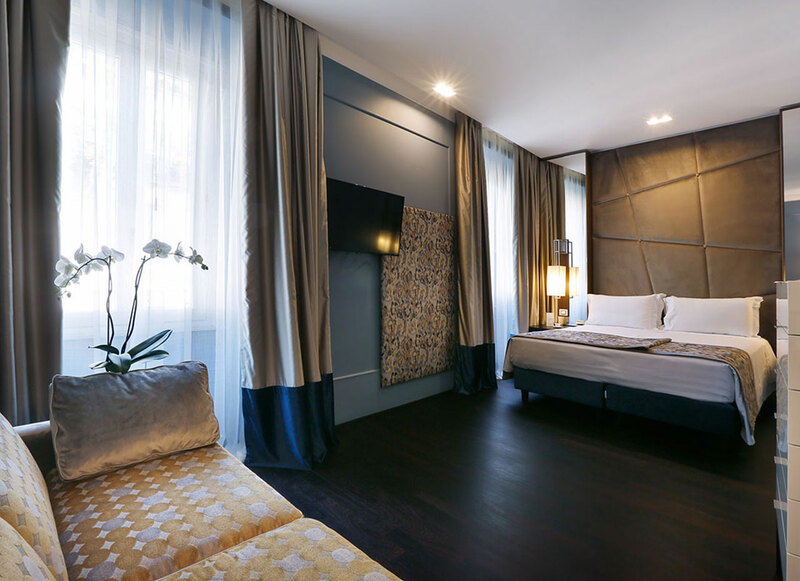 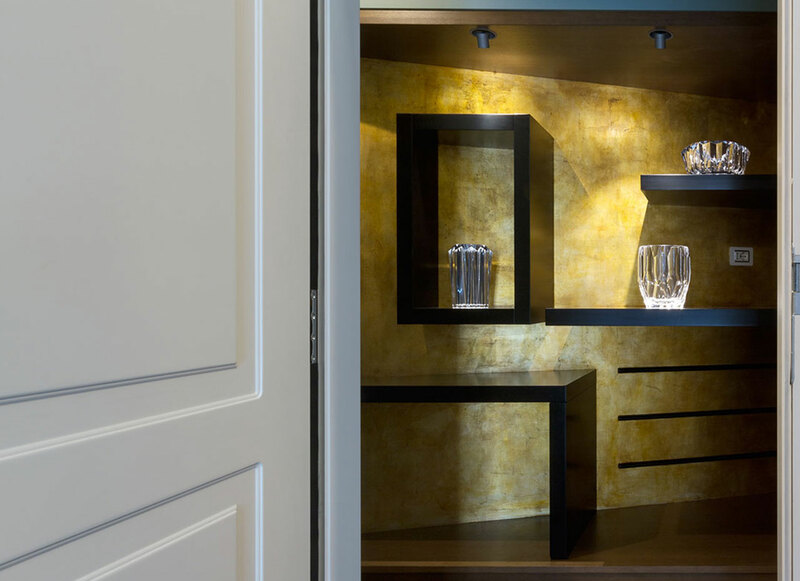 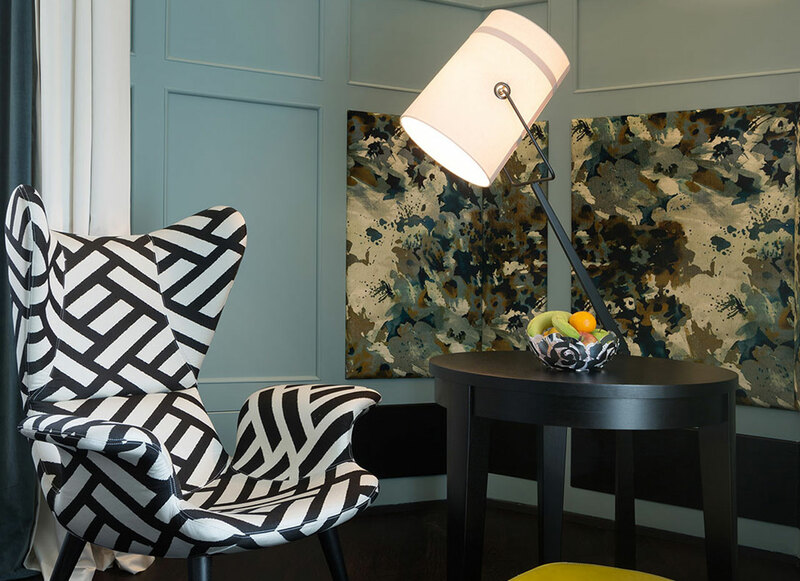 These luxury Suites epitomise the standard of excellence for which the Stendhal Luxury Suites in Rome has become renowned. Quality accommodation using only the finest fabrics and materials…. 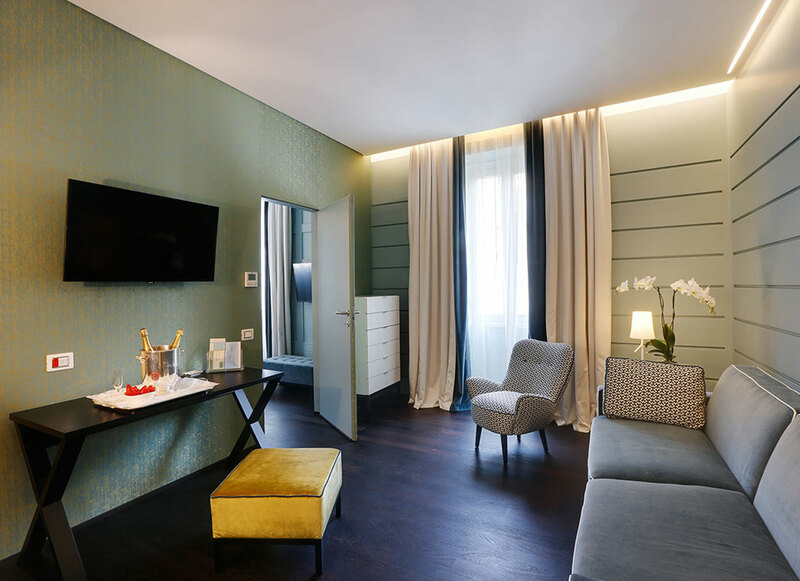 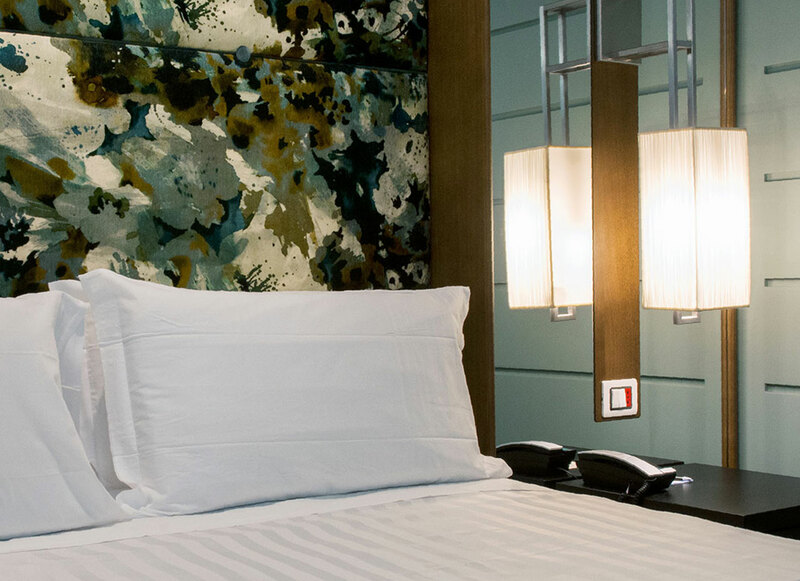 With the additional personal touches including complimentary MiniBar (soft drinks and beer), slippers, Flat-screen satelite TV, complimentary bathroom accessories and sewing kit, hairdryer, tea/coffee maker, safety deposit box ecc. 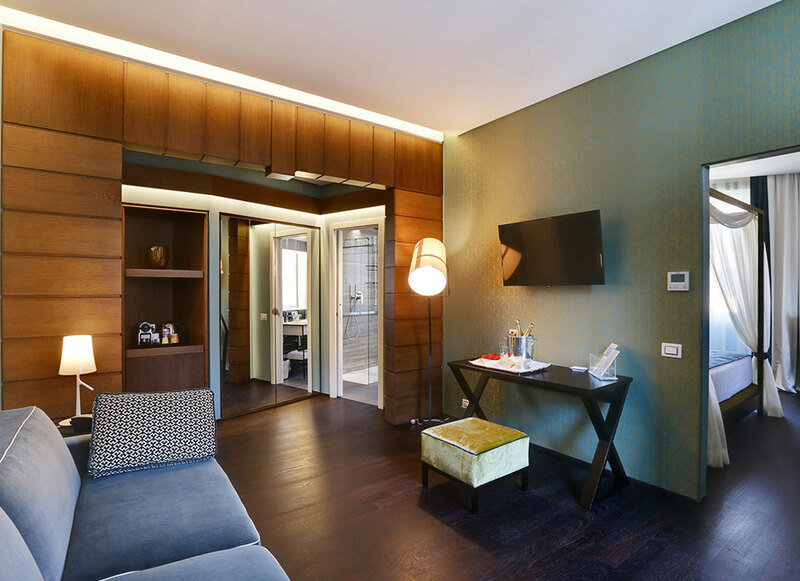 The Family Suites are ideal for 4 people, one bedroom with extra large double bed plus a separate seating area with pull out sofa bed…. 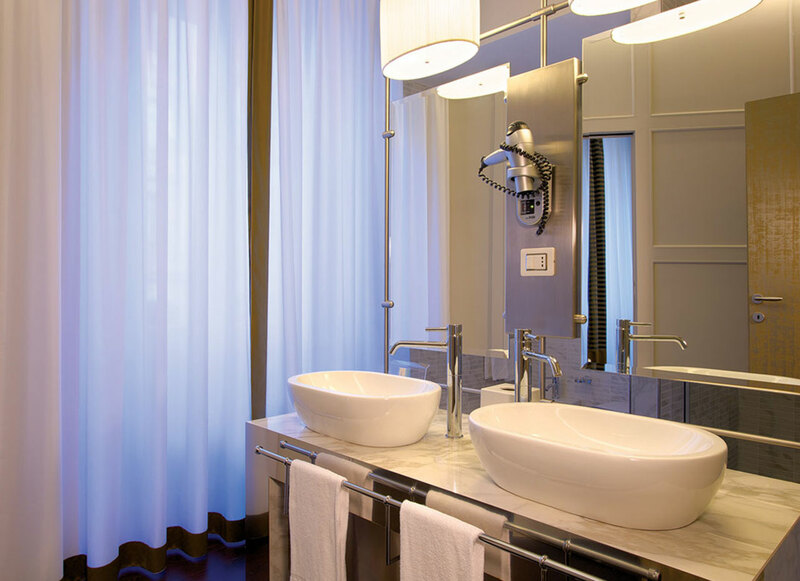 they contain 2 separate bathrooms. 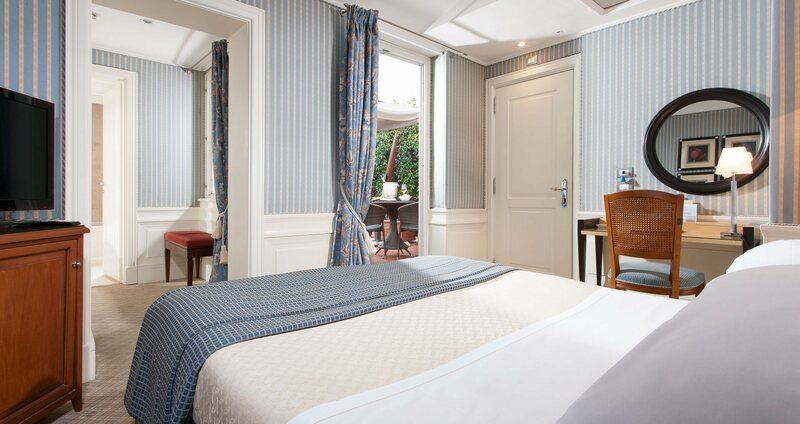 We can also provide 2 connecting Family Deluxe connecting rooms. 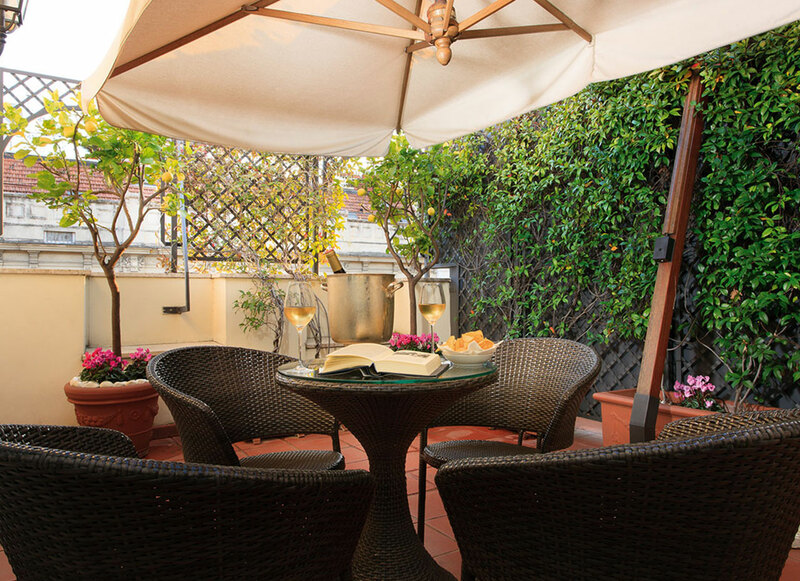 Ideal accommodation for families or couples travelling together. 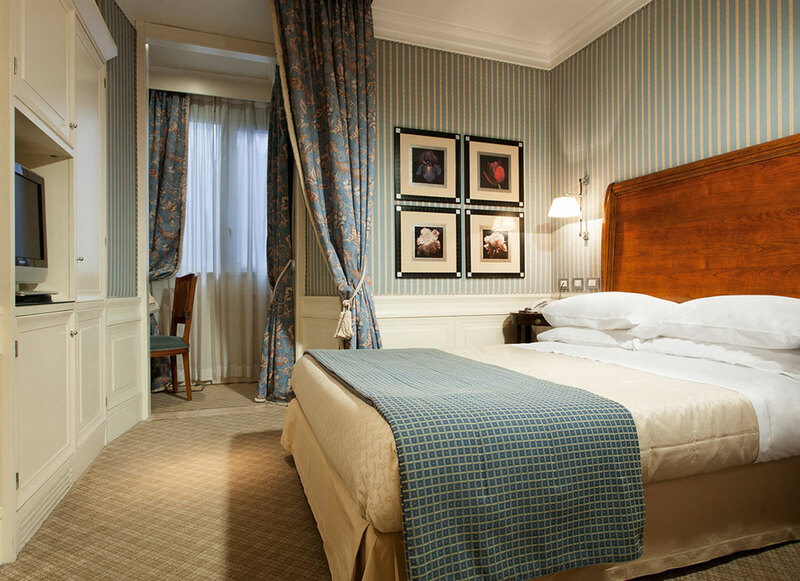 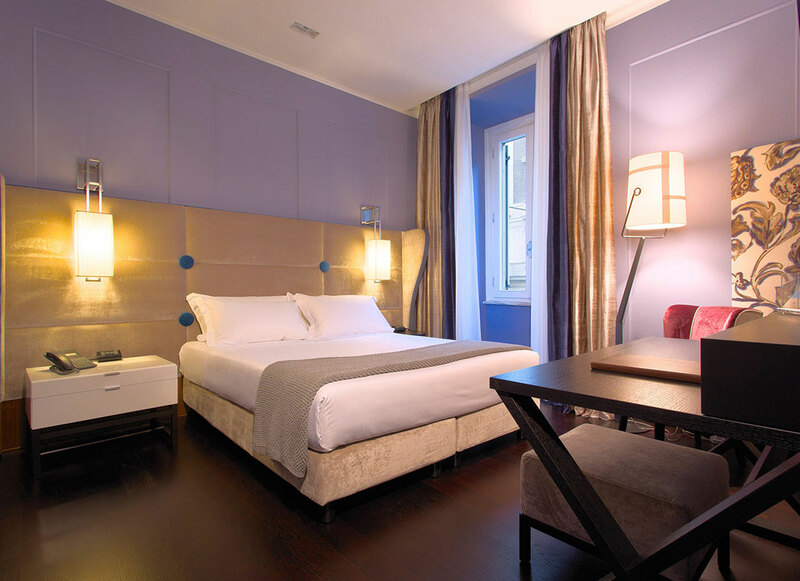 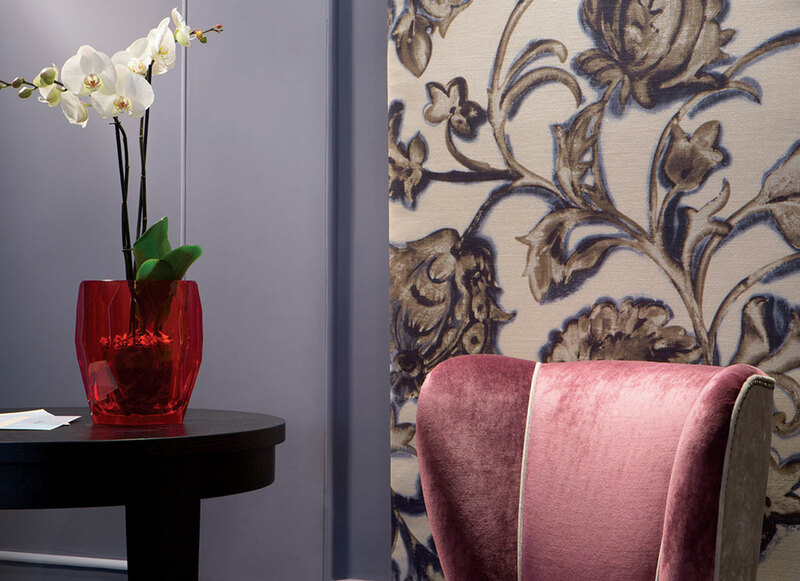 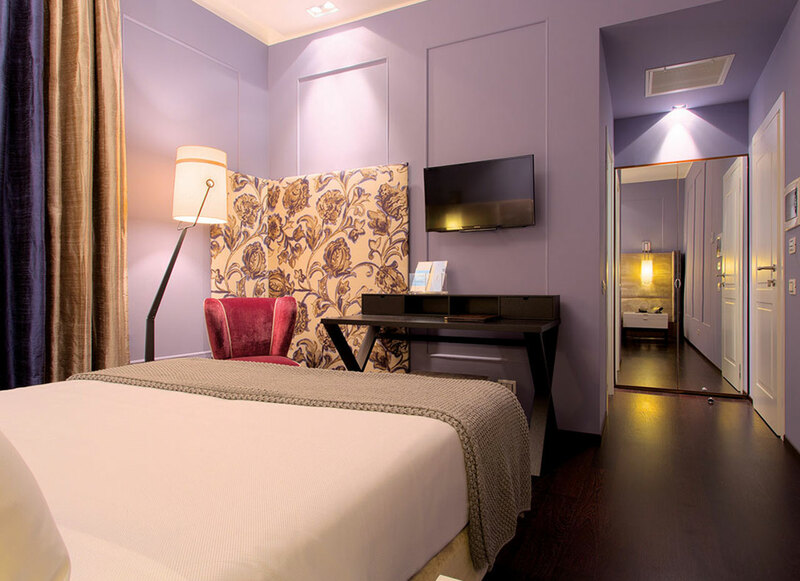 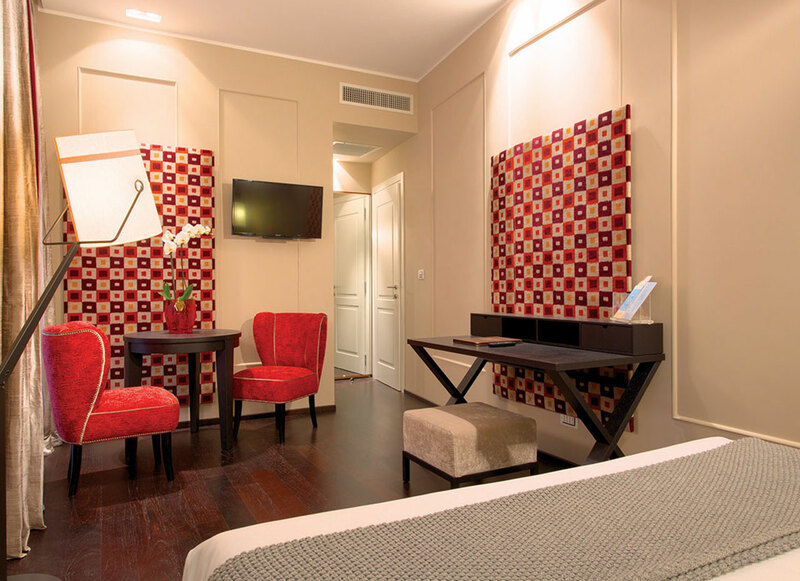 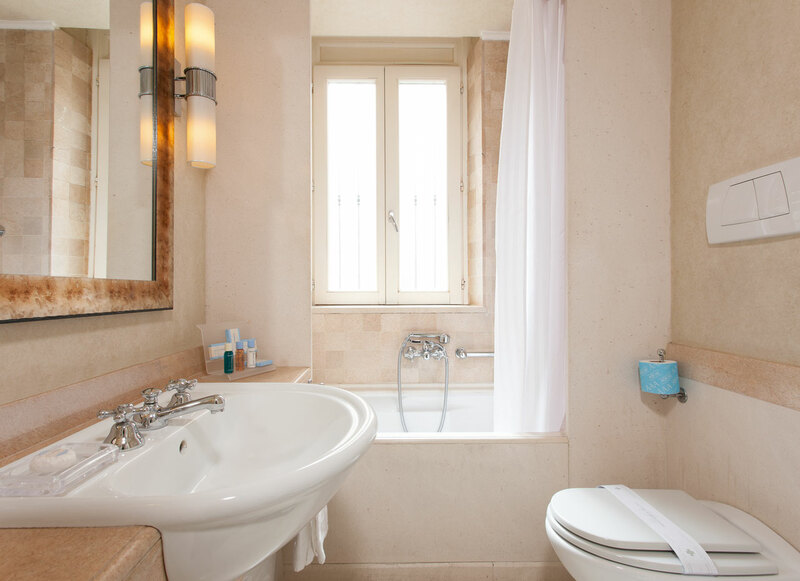 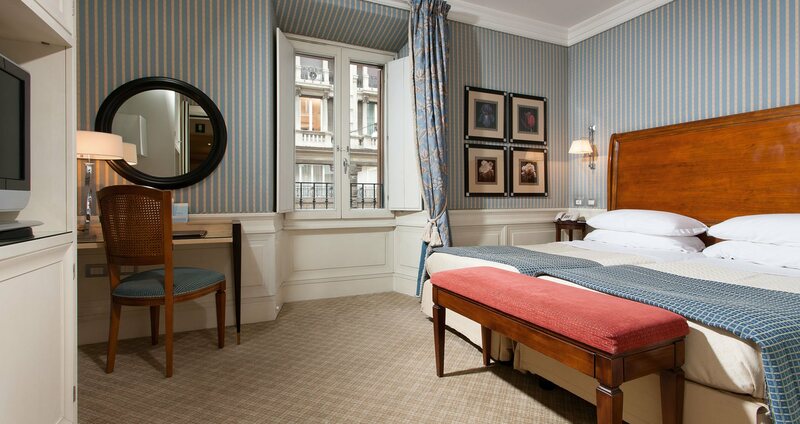 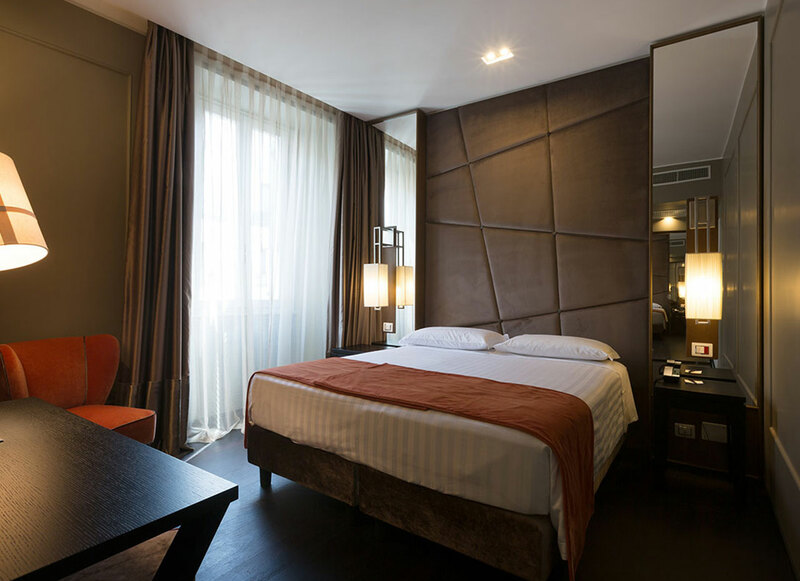 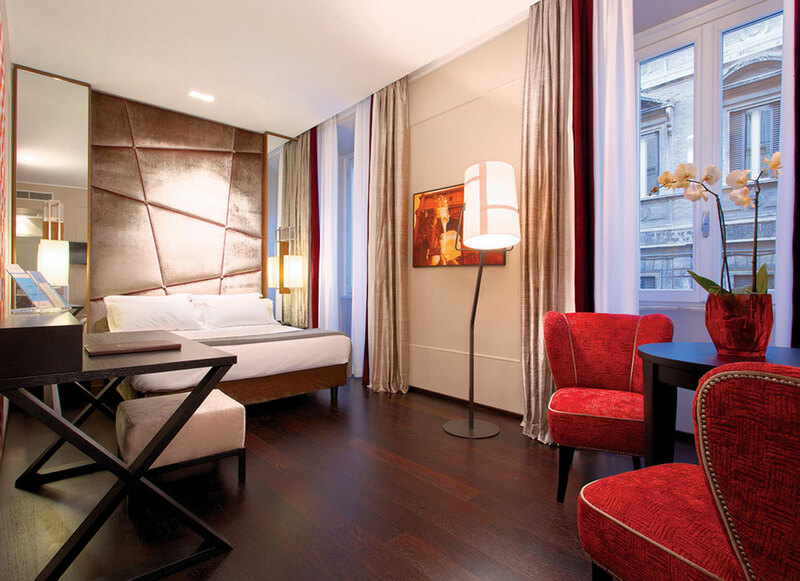 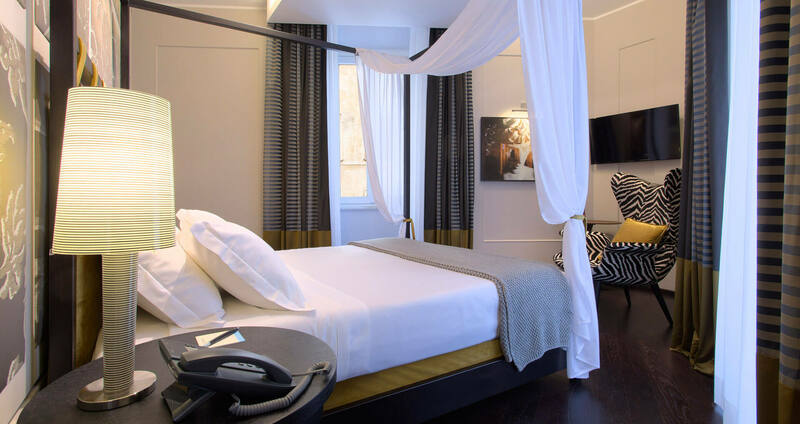 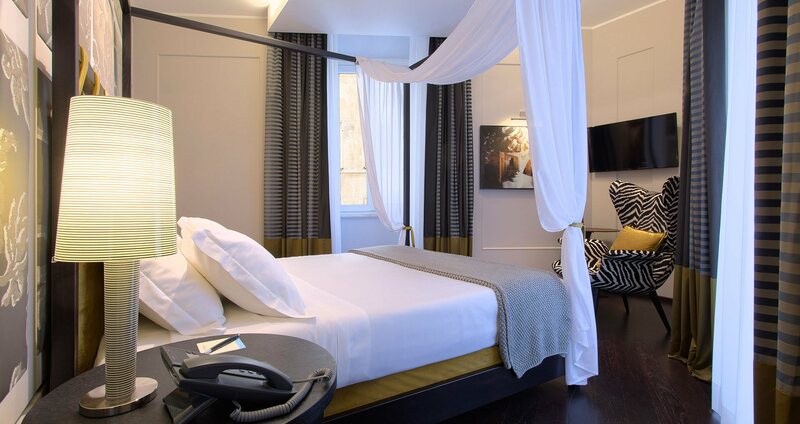 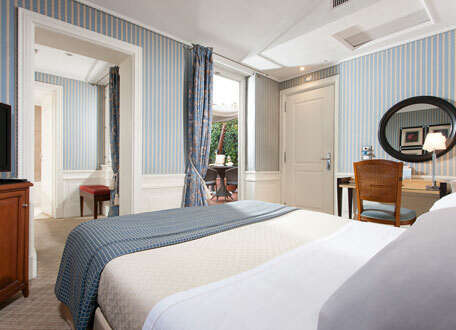 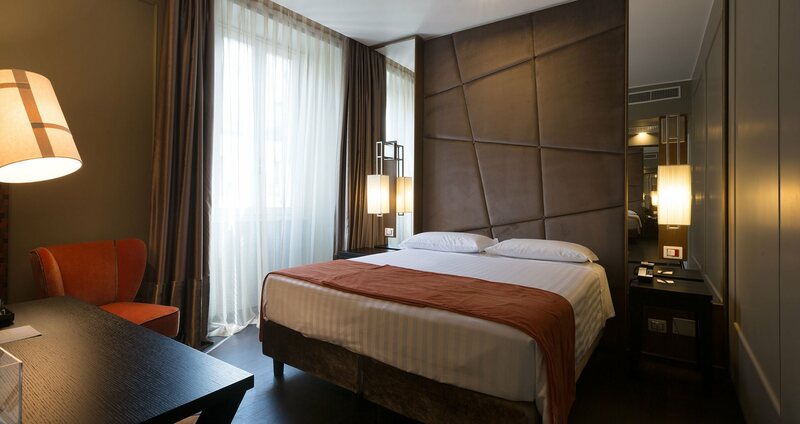 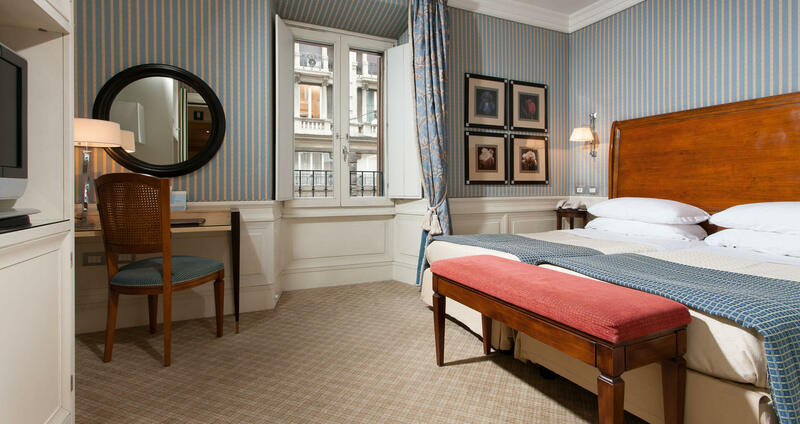 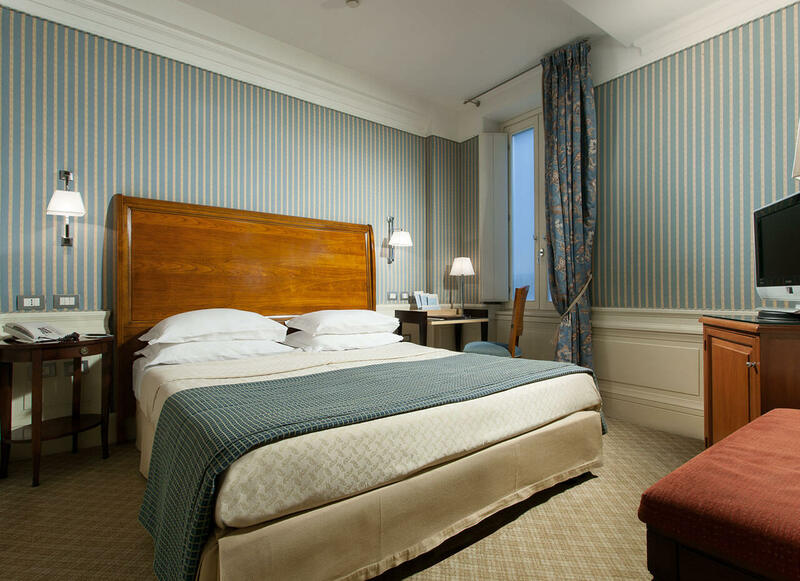 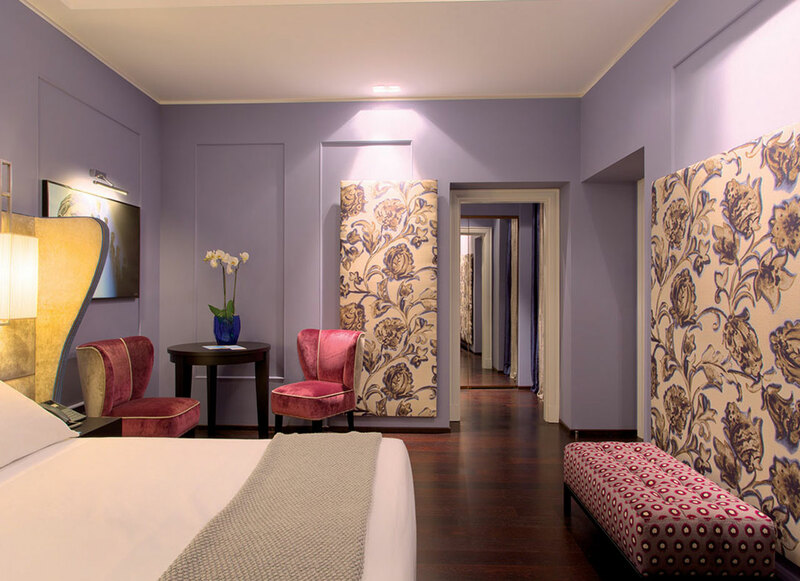 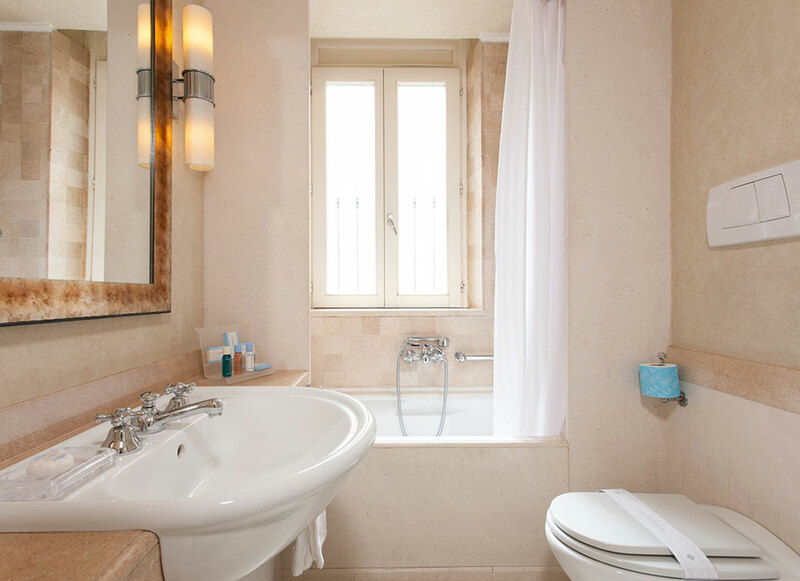 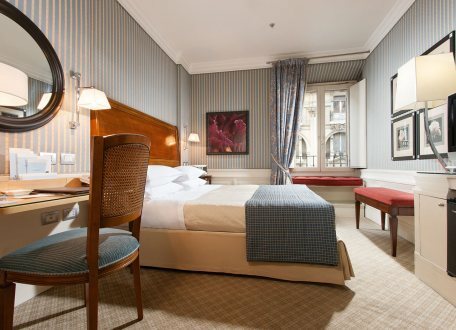 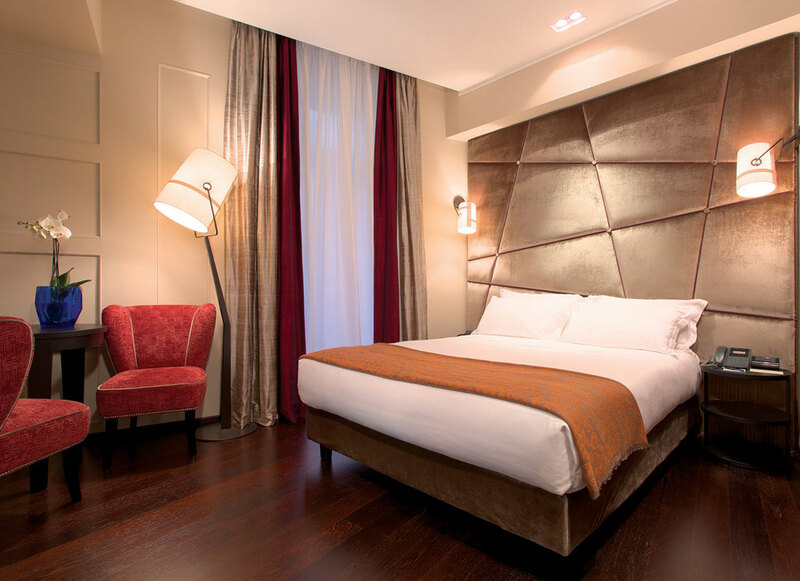 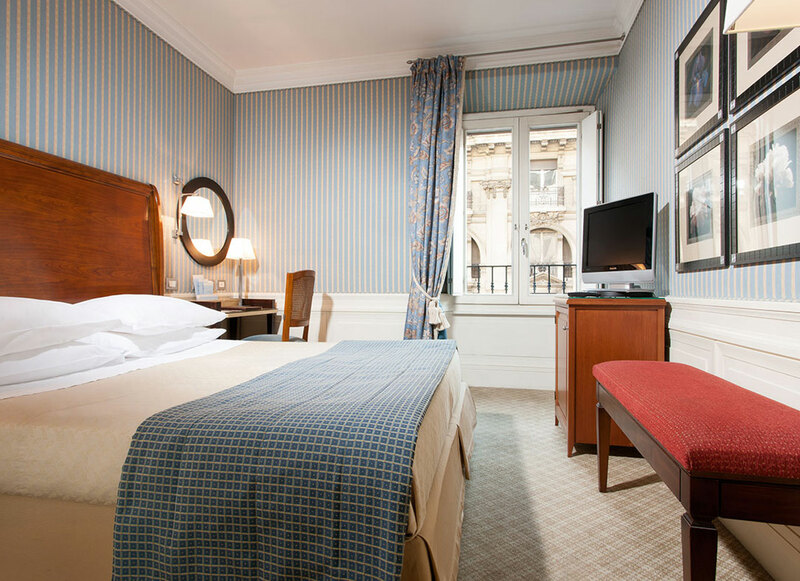 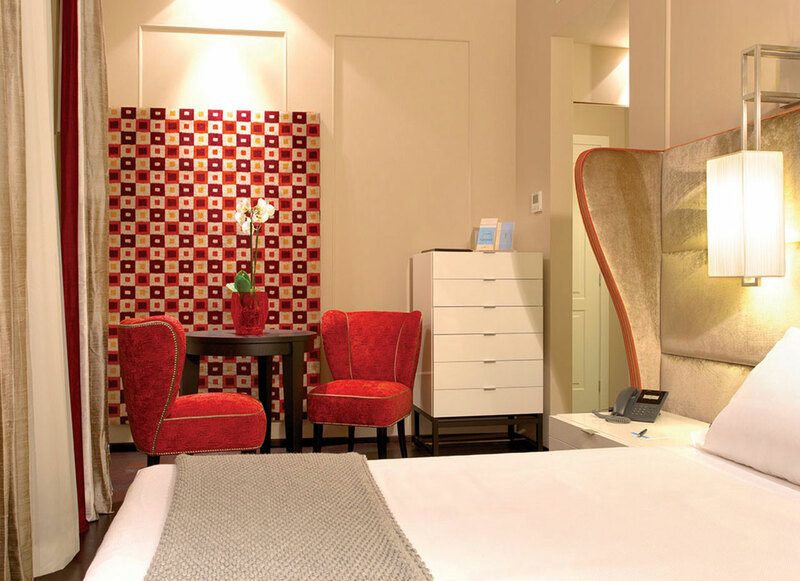 The Hotel Stendhal & Luxury Suites offers charming and exclusive accommodation together with impeccable service in Rome. 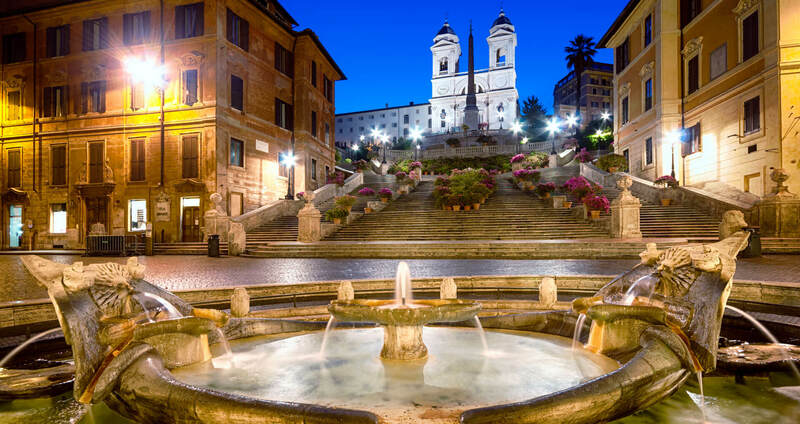 The hotel's superb city centre location, very near the Spanish Steps and Trevi Fountain, means that we could not be better placed to enjoy the fabulous sightseeing offered by Rome the eternal city.